Common wisdom holds that smell is the least important sense for our species. But that conclusion may be flawed because we've ignored non-Western cultures. New research on a small tribe in southern Thailand challenges that assumption. Scent-based memories are particularly powerful. For me, the strongest memories of comfort from my childhood come from my grandmother's kitchen. Even now, a decade after she died, all it takes is the smell of her "feel better soup" recipe – a Hungarian caraway seed soup called komenymaglaves, not the more typical chicken noodle fare found in most American Jewish households – and I'm right back in her kitchen, barely tall enough to see into the soup pot. 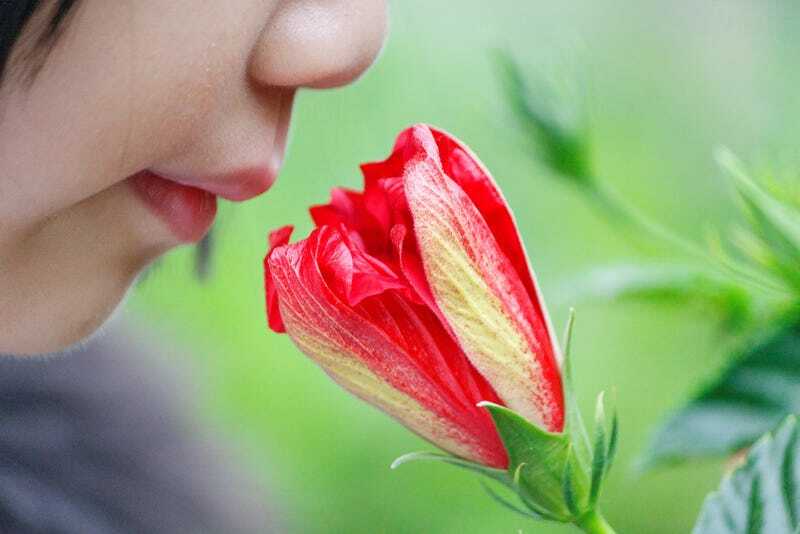 It might seem surprising, then, that the sense of smell has often been thought of as relatively unimportant for our species, at least compared with sight, hearing, taste, and touch. Darwin said our noses were "of extremely slight service," Kant said smell was "the most dispensable" of our senses, and Pinker went even as far as to call our ability to discern good milk from milk gone bad "vestigial." Consider the fact that, in English as in many languages, the words for odor aren't abstract. Instead, they're bound to the objects from which odor originates. A bar of soap, a candle, or a bottle of cologne might be marketed as "woody," "fruity", "citrusy," or "smells like coffee". In contrast, "sweet" and "bitter" do not rely on specific objects. Sugar is sweet, but "sugary" means something different. Wine critics rely on vocabulary from fields as distinct as architecture and botany to do their work: "angular," "austere," "decadent," "dumb," "hot," "unctuous." In fact, it is widely believed that language is simply incapable of encoding information related to odors the way it can for perceptual information from the other senses. But is this belief based only upon so-called WEIRD populations (Western, Educated, Industrialized, Rich, Democratic)? New research on the language of the Maniq, a group of 250-300 nomadic hunter-gatherers in southern Thailand challenges the predominant view. The research, conducted by Ewelina Wnuk and Asifa Majid of the Max Planck Institute for Psycholinguistics, was published in the journal Cognition. Wnuk and Majid discovered that the Maniq have at least 12 different words that are explicitly and abstractly related to odors. It's hard to describe their words in English, because our language is so woefully incapable of expressing those ideas. It's not that the Maniq have a better sense of smell. Western babies can distinguish the scent of mom's breast from others, and we associate odors with certain emotions (clementine is pleasing and stimulating; vanilla is pleasing and relaxing). It's just that the Maniq don't fumble over their words to describe those odors the way we do. For the Maniq, olfactory knowledge is bound up with everyday life. "The Maniq constantly monitor odors around them and manage smells so that they are surrounded with healthy and safe scents while avoiding those believed to be hazardous," according to the researchers. The research suggests that the notion that smell is inconsequential for our species is simply wrong. Wnuk and Majid conclude as much, writing, "the cultural and linguistic elaboration of smell among the Maniq constitutes compelling evidence against the universal paucity of olfactory terms, the 'weak link' between smell and language, and the general insignificance of olfaction for humans."